Also new at Roland’s this summer is the TD-1K V-Drums entry-level, yet upgradeable, electronic drums. 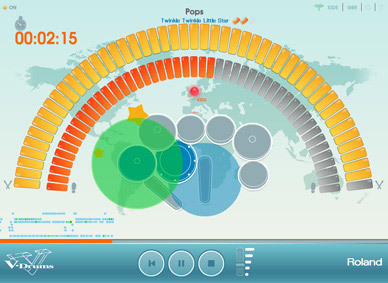 If your children wish to learn to play drums in a fun way, Roland offers its V-Drums Friend Jam software in a new version for youngster. Roland is debuting a new mid-range kit and accompanying Sound Module in Frankfurt. Roland announces the DT-1 V-Drums Tutor, a new drum lesson software application for all V-Drums users. Roland announces V-Drums Friend Jam,their new social networking tool for drummers. 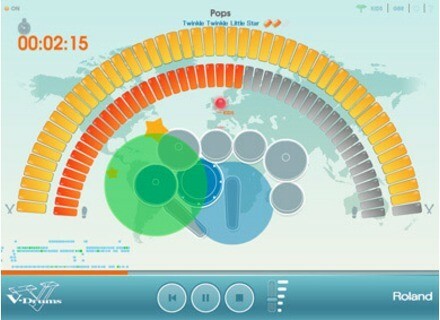 The " V-Drums Friend Jam" is a social networking tool for V-Drums designed to let you interact with users around the world while improving your drumming skills with play-along songs. Roland has announced the launch of V-Drum Lessons, a series of free online drumming videos taught using Roland drum & percussion products.